According to OAG, Asia Pacific is home to 15 of the top 20 busiest international and 13 of the top 20 busiest domestic routes globally. South Korea Jeju (CJU) to Seoul (GMP) is still by far the busiest route on the planet, while Kuala Lumpur (KUL) to Singapore (SIN) is the world’s busiest international route for a second straight year. 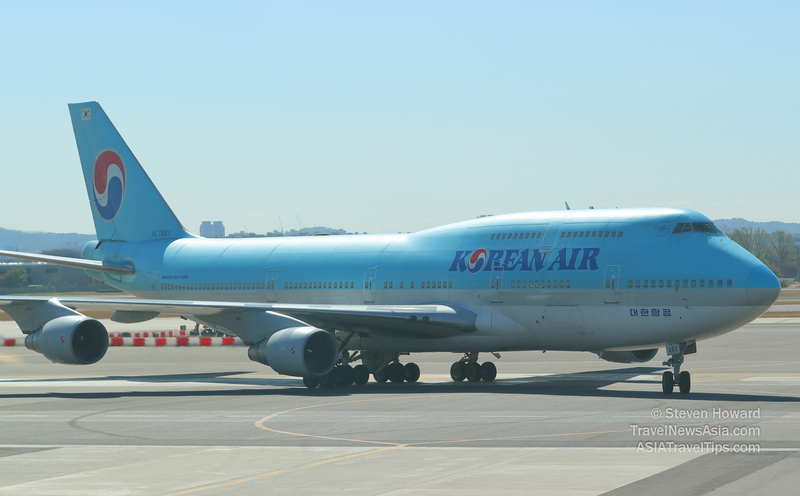 The CJU - GMP route, which is just over one hour in flight time, is so busy that airlines such as Korean Air use a variety of aircraft, even Boeing 747-400s such as the one pictured below. - Kuala Lumpur (KUL) to Singapore (SIN) is the busiest international route in the world with 30,187 operating flights; KUL features in two of the world’s top five busiest international markets. - Incheon (ICN) to Osaka (KIX) grew even busier this year, increasing operating flight volume by 2,223 flights. - The world’s busiest route, South Korea Jeju (CJU) to Seoul (GMP), is also one of the shortest, with 79,460 operating flights, followed by Melbourne (MEL) to Sydney (SYD) with 54,102 flights. - Thirty percent of the world’s busiest international routes operate from Hong Kong International Airport (HKG), which is featured in six of the top 20 busiest international markets in the world. - Singapore (SIN) is the most popular destination for the region’s busiest long-haul routes, with six arriving in SIN. - Tokyo (NRT) to Taipei (TPE) is now one of the world’s top 20 busiest international routes, with 13,902 operating flights. For a second straight year, Kuala Lumpur (KUL) to Singapore (SIN), which operates 30,187 flights annually, is the busiest international route in the world. Following closely behind, Hong Kong (HKG) to Taipei (TPE) was the second busiest international route overall with 28,447 operating flights. See latest HD Video Interviews, Podcasts and other news regarding: OAG, Airlines, Traffic.